Product prices and availability are accurate as of 2019-04-01 04:40:56 EDT and are subject to change. Any price and availability information displayed on http://www.amazon.com/ at the time of purchase will apply to the purchase of this product. 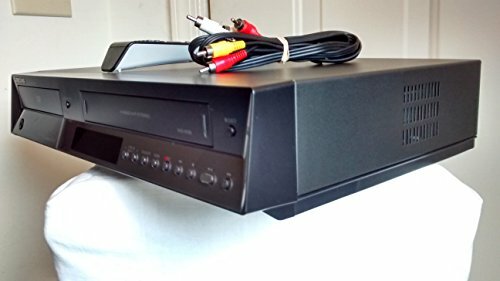 SAMSUNG DVD-V9700 HIFI STEREO DVD & VCR COMBO RECORDER 4 ROTARY HEAD. 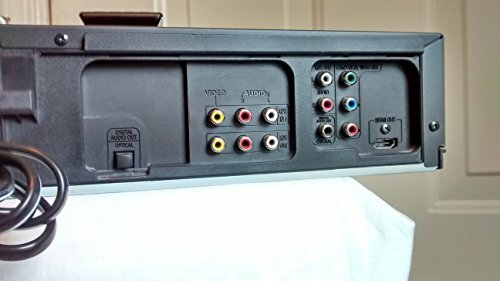 DIGITAL VCR RECORDER - TUNERLESS w/ HDMI, DVIX, DTS SURROUND, DOLBY DIGITSL. Remote Included + AV Connector Cords. Works Amazing! 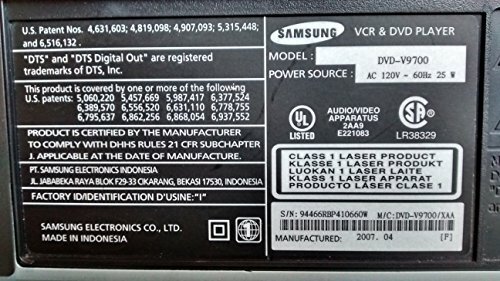 This Samsung DVD-V97000 DVD/VCR Recorder unit is in very good preowned condition without any significant, noticeable cosmetic scratching on panel. Unit was fully tested and it fully works without any issues. High tech VCR cassette digital recorder, no tuners like regular VCRs. 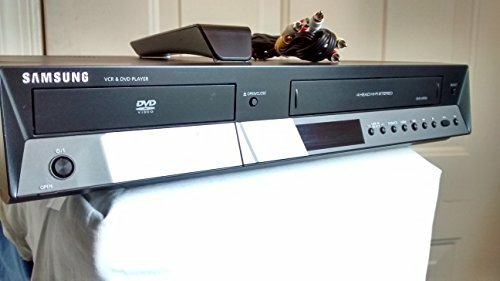 Plays DVDs CDs & VHS tapes well and the VCR records very well. Very clean and neat, from a smoke-free, pet-free and allergy-free home. 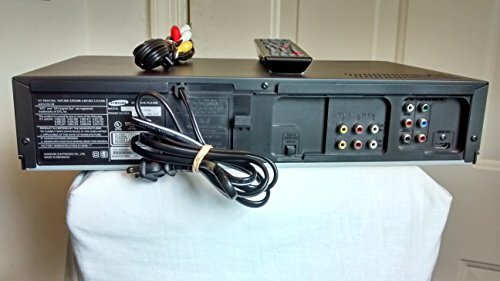 Unit will come with the Original Remote Controller & an AV cord for TV connection. No other accessory is included with this sale. Please review all the pictures of the item both in the offer page and in the description page. Item will be delivered just as pictured in the photo. Any questions, ask me and thanks for stopping by. Two weeks risk-free, no liability trial. 100% SATISFACTION GUARANTEED! Use item risk-free for full two weeks without any liability to you and if for any reason you are not completely satisfied with the item, return it back to me, in its original condition and packaging with any included accessories, before the 14-day risk-free trial expires, and get your full refund back, no questions asked. GUARANTEED! Shipping is the next business day and it's through the USPS or FedEX Delivery. Carrier choice depends on package delivery destination. Tracking# is provided on all shipped order so customer can track package delivery status at any time. If you any questions or concerns about the item or your transaction, please contact my right away to either address your concern and/or fix the issue. I will do anything possible to resolve it to your satisfaction because I want to earn your positive feedback. I appreciate you stopping by. have a nice day! 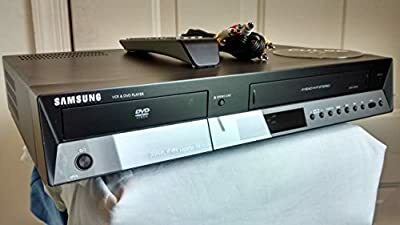 Samsung DVD-V9700 VCR Video cassette recorder / DVD/CD Player Combination 4-Head Hi-Fi Stereo VHS Cassette Tape Player, High Efficiency Audio/Video Output Dolby Digital, dts Digital Out, HDMI, Progressive Scan, DIVX Digital VCR Cassette Recorder, No Tuners Like Othe Regular VCRs. Record your favorite movies and shows from your tv to vhs tapes for replays.